See Our Full List of Activities! Built with each invididual camper in mind. 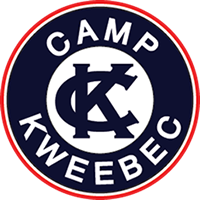 Kweebec’s comprehensive program meets the interests and needs of each individual camper and develops the fullest potential of each child. 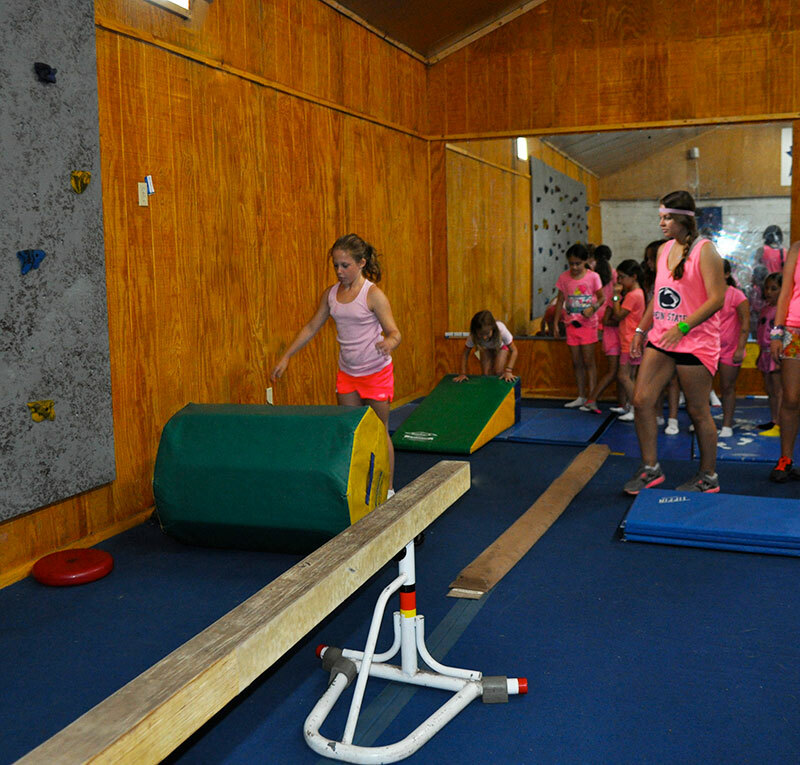 We believe that when campers improve in both athletics and other skill areas, they enjoy them more. That is why Kweebecers are given the finest instruction on a daily basis. 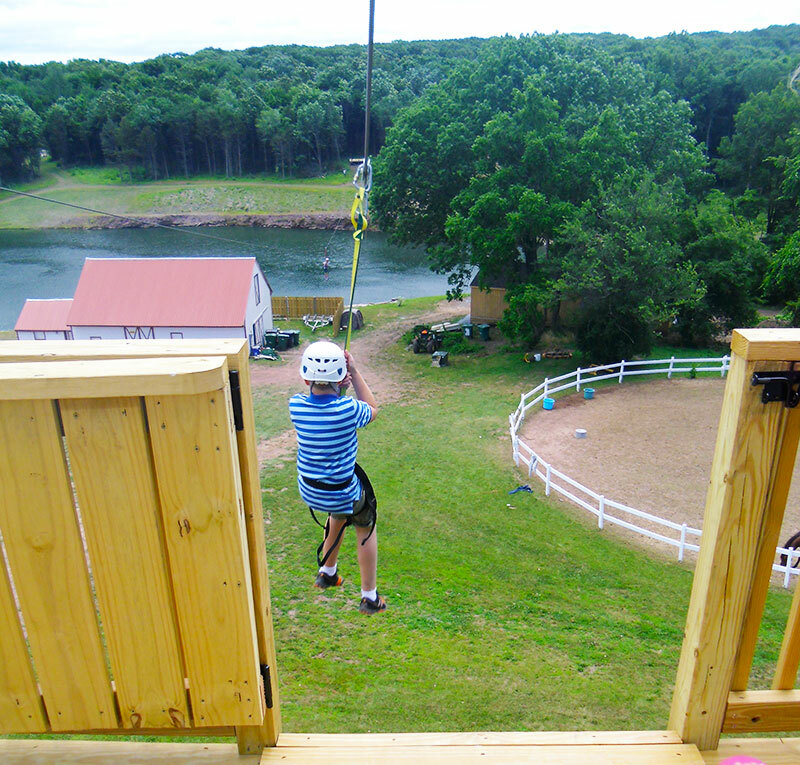 Within our program a wide range of activities are offered and scheduled for each camper. Campers are also given many choices of activities as well as the option to pay added attention to areas of special interest. Request more information today! We believe that children’s sports need to be fun. At Kweebec we create a positive environment where children are put in situations to succeed and foster their self-confidence. It is not necessary to be the best athlete to attend our camp. Every child at Kweebec plays at least half of every game, so that everybody on the team has the opportunity to improve. Our focus is on the team getting better as a whole, as well as providing the ground work for each individual child to reach his or her full potential. Every week instruction is given in basketball, soccer, softball, tennis, hockey, beach volleyball, and baseball (flag-football, hardball, golf, lacrosse and field hockey are all optional choices). These periods are incorporated in the weekly program and are lead by our qualified resident staff. Campers are always taught to try their hardest, and it is made clear that their efforts are more important than the result of the games. Over the years we have had countless professional instructors give guidance as well as one on one instruction to help teach the basic fundamentals that are so important for a child to learn when they begin playing a sport League games are played throughout the summer and are concluded with playoffs and finals for each sport. We also include games such as indoor soccer, roller hockey, flag football, kickball, BBS, handball, and gaga as team sports—emphasizing participation. Arts-n-Crafts Campers can look forward to painting canvas, jewelry making, using pastels, charcoal & watercolors, crafting, printing & tie dying, candle making, enameling, beading, needlepoint, sewing, mosaic tiling, fabric art & silk screening, basket making, beading, sewing & weaving, making paper and soap from scratch & more! Campers learn to build models and design & cut and build their own unique projects. Some projects include: building airplanes, towers, boats, covered wagons, bird houses & toy cars, tables, jewelry boxes, rockets, wall plaques and key holders with hooks were made from beginning to end with only the raw materials and instruction. 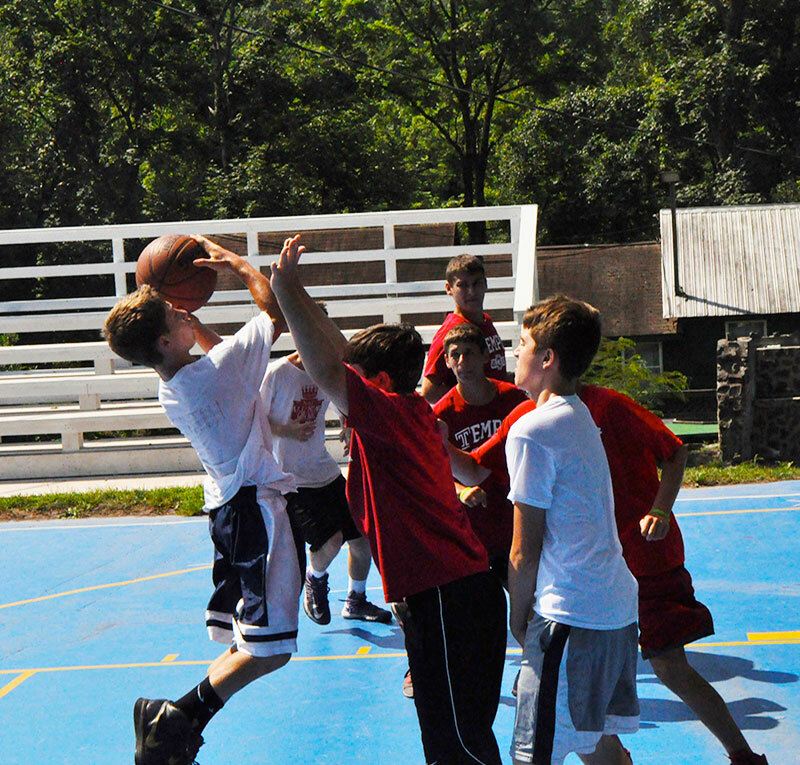 Campers have the opportunity to work individually and in small groups. Ceramics offers the opportunity to learn all different methods of working with clay. From pinch-pots and hand building to working with slabs of clay, Kweebecers learn not only the fundamentals of ceramics, but also how to throw pots on a wheel, fire, glaze and use a kiln. Last summer we specialized in making mugs, cups, dishes, name plaques, wind chimes, hanging mobiles, figurines, vases & ceramic beads. Campers have the opportunity to compose and edit video, print digital photos and digitally draw on the computer to bring their illustrations to life. All photographs and video is filmed at camp. We try to include wildlife and nature photography as well as the videoing of other camp activities. is comprised of Dance, Drama and Music. Dance is directed by Andrew Thomas of the 76ers Flight Team. We focus on stretching, strength, flexibility, skill development, creative movement, theater dance, hip hop, jazz and choreography. Different elements of dance and rhythm are focused on to emphasize the development of coordination and muscle control. We have a “guest” dance instructor 3 to 4 times per week. Kweebec’s Dance and Drama Programs work collectively so that campers can experience the many varied aspects involved in producing a show. Our Performing and Visual Arts programs teach campers many components starting with rehearsals and costuming, to make-up, scenery, dance and music. The Drama Department produces talent shows, comedies, musicals and dramas. Music lessons and the Kweebec Rock Band are available to all interested campers. Kweebec’s Waterfront facilities include twin lakes (large enough for waterskiing, tubing, jet skiing, sailing, canoeing, kayaking, & wind-surfing) and two heated pools. Our lakes also feature a big water slide & water trampoline and lots of fishing too! Our aquatics staff consists of at least 8 full-time, experienced & certified instructors. Campers are involved in a Red Cross certified, instructional, swimming program that includes a working knowledge of all the various swimming strokes, and a complete lifesaving program (where campers can be certified for both Junior, Senior and water safety lifesaving programs.) Our goal is to make every camper, a strong swimmer who also understands the safety factors necessary in swimming. “Rec” swims are daily and combine both relaxation time in the pools with exciting games such as water-polo, water aerobics, synchronized swim and water basketball.